Fishing Jewelry from the Classic Design to our Original designs that you will just have to have. We offer a wide range of not only styles but also designs, if you don't see exactly what you are looking for contact us and we will make it up for you. Mar 1 Sport fishing Make it shine and sparkle with the eWatchFactory Rhinestone Watch! Made with a Rhinestone accented face and black or white enamel alloy bracelet, this watch is the fashionable addition your wrist has missed. 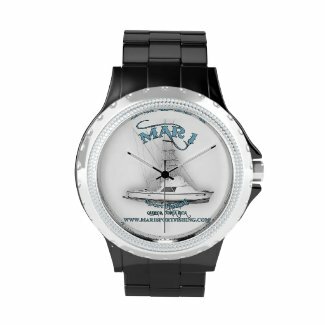 Customize the face with your name and designs for a style and shine beyond time. Mar 1 Sport Fishing Give the gift of love and style with a custom charm bracelet. Design your charm bracelet with photos of your loved ones, your favorite memories or words of inspiration. Gift wrapped in a special black felt bag, this charm bracelet is finished with a UV resistant and waterproof coating to protect the images for years to come. Add extra charms for a bracelet that holds photos of all of your loved ones or for an extra special bracelet that tells a story. A perfect gift for Mother's Day, Birthdays, Weddings, and more! Mar 1 Sport fishing Keep your bills neatly organized with a sleek and classic custom money clip. This money clip is made with high quality brass and plated in premium rhodium. Available in three finishes, select a look that fits your style. Customize a money clip with a monogram, design, or photo for a unique and sophisticated gift perfect for birthdays, holidays, Father's day, weddings and more.